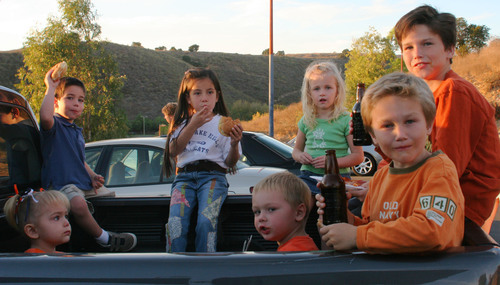 Tailgating at the Westlake/Thousand Oaks High School football game. We went with the Snyders, Daurios, Johnstons and Bluths. So much fun! The kids had the best time!!!!!! !